However in many cases, a single container is not enough to run an application. It requires multiple containers, scaled into multiple host machines to become a production-grade deployment. Kubernetes is an open source system for automating deployment, scaling, and management of containerized applications. It groups containers that make up an application into logical units for easy management and discovery. 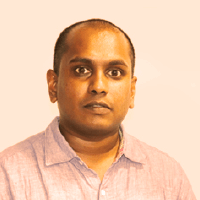 In this session, Lakmal will discuss best practices for deploying applications in Docker and Kubernetes while discussing Docker and Kubernetes concepts.